We are loving everything velvet right now and this dress is a must-have for your weekend wardrobe. 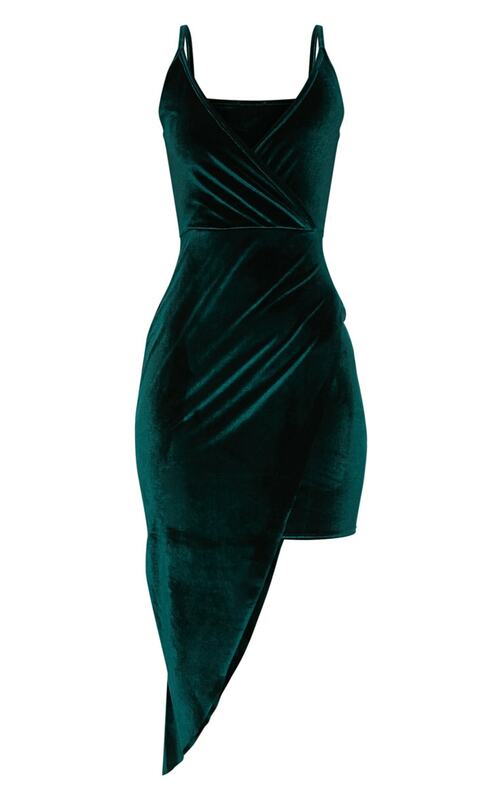 Featuring an emerald green velvet material with thin straps and a figure-skimming fit. Team this with wrap around heels and some statement jewellery to complete the look.